Wonderful masculine card! Not girly at all. Love your idea of using the tickets,like you did;it looks fabulous and very creative! Very nice masculine card; not girly at all. Those tickets are fabulous! Love all the distressing. Very fun with the tickets and sentiment. Great idea! Love the look of the tickets! 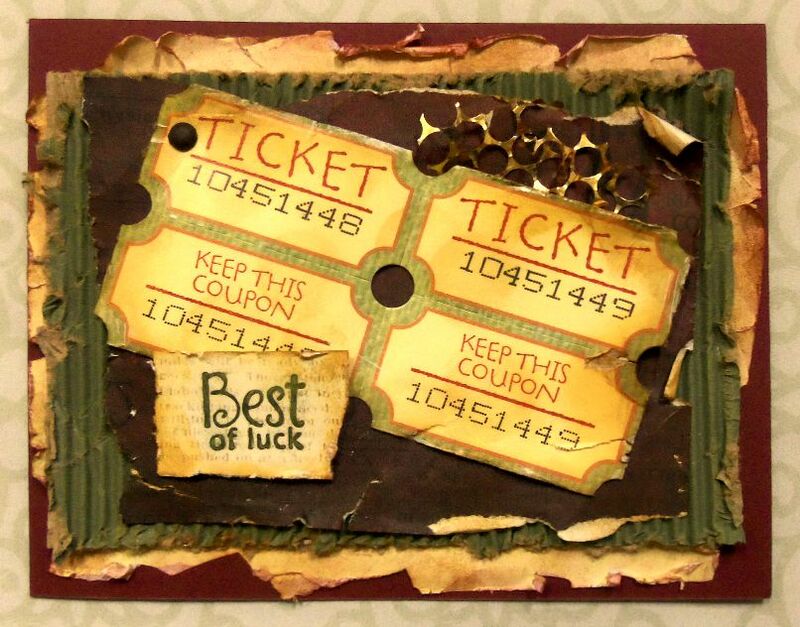 Very cool--I like the tickets with the Best of Luck sentiment. great masculine card, and you're right the gold is just enough and not too girly! Very fun card. Love the touch with the tickets. Oooh, I just love this!! That corrugated paper is such a great addition with all that texture and distressing! Definitely has the look of years of history and hidden stories of by-gone adventures. I can almost hear the shouts from the Midway!! 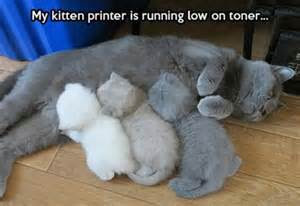 That kitten printer poster makes me want to steal that sweet kitty family. The mom is as cute as the kittens...oh my! This makes a great guy card, and I just love that distressed/grunge look. Awesome---great job! Thank you for joining us over on the HIMCR this week!!! The gold definitely enhances your already richly hued creation! It's wonderful!